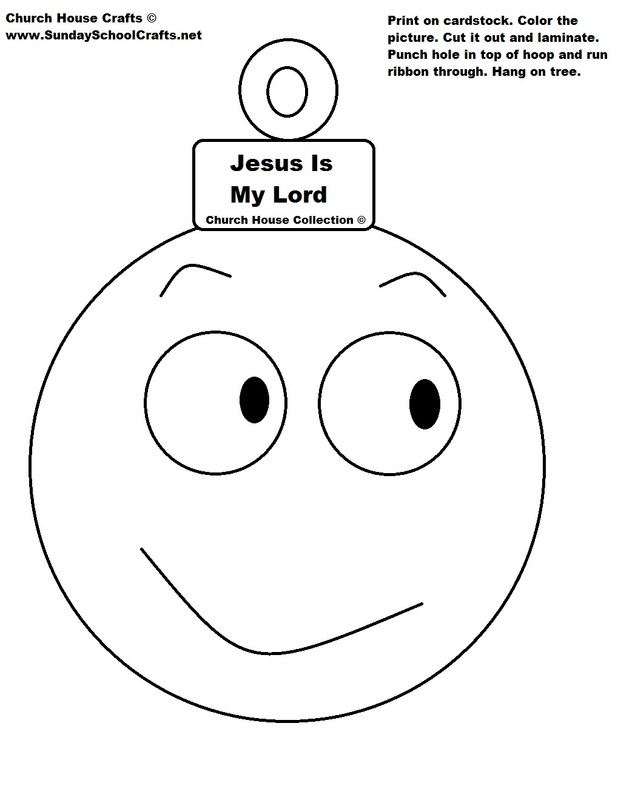 You could print these out on card stock for your children's church class and let them color the picture and cut it out. If you use regular printing paper you might want to laminate so they will hold up. 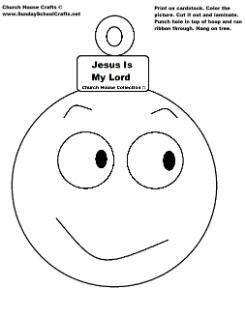 The top of the Christmas ball ornament say's, "Jesus Is My Lord". Have the kids use a hole punch and punch a hole in the top of the ornament and run some pretty ribbon through it and hang on a tree. Don't have ribbon, then try using a metal christmas hook, yarn, or even a paper clip that you bent. This is a very large ornament. This will print to fill an 8.5 x 11 sheet of paper.